At A.C.C.L. Plumbing Toronto, we provide services, repairs and replacements of drainage systems plumbing works, installation and service of fire protection and sprinklers systems. We specialize in residential plumbing repairs and installations, as well as fixture replacements, drain service, frozen pipes and hot water service, and offer 24-hour emergency response plumbing repairs. A.C.C.L. Plumbing offers 24 hour emergency plumbing service in GTA. From broken pipes to clogged drains, no matter what the trouble, our Toronto plumbing company is on call day and night, seven days a week – including holidays, to solve your plumbing emergencies. At A.C.C.L. Plumbing, we pride ourselves in delivering excellent customer service. If you need a reliable emergency plumber, call A.C.C.L. Plumbing anytime and you will speak directly with a knowledgeable company representative who can assess your problem and dispatch a professional licensed plumber to your home or business right away. For prompt and courteous 24 hour plumbing emergency service in GTA, trust A.C.C.L. Plumbing to get the job done. 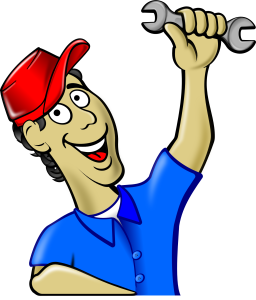 All of our emergency repair plumbers are fully licensed to deliver plumbing services in GTA and its surrounding areas. We have years of experience repairing pipes, toilets and water systems in Toronto and are able to quickly identify any plumbing problem and come up with a speedy solution. We are always pleased to offer a free quote, even for emergency plumbing repairs. With A.C.C.L. Plumbing you never have to worry about how much your emergency plumbing bill will be after the repairs are completed. You will know what the job will cost up front. Call: 416-759-8567, 905-448-5909, or 1-866-701-8484.